The Supreme Court is currently hearing pleas seeking a court-monitored probe into the controversial purchase of Rafale jets. 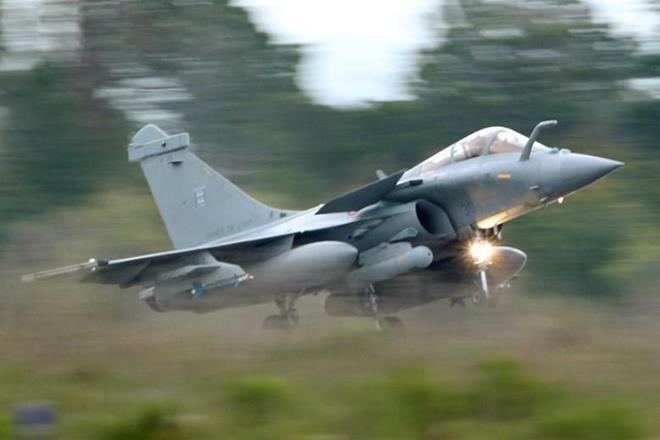 New Delhi: The Supreme Court on Wednesday commenced its hearing on pleas seeking a court-monitored probe into the procurement of 36 Rafale fighter jets from France. A bench comprising Chief Justice Ranjan Gogoi and Justices S.K. Kaul and K.M. Joseph is also likely to peruse the pricing details of the jets submitted by the government in a sealed cover. During the hearing, advocate Prashant Bhushan, appearing on behalf of himself and former Union ministers Yashwant Sinha and Arun Shourie, submitted that the NDA government “short-circuited” the acquisition process by taking the inter-government agreement (IGA) route to avoid giving a tender. He said, as The Wire has also reported, that there was no sovereign guarantee from the French government in the deal with regard to obligations and responsibilities. Bhushan argued that initially, the Union law ministry had flagged the issue, but later gave in to the proposal of entering into the IGA. Also read: Rafale Twist: Why Did France Refuse to Give India a Sovereign Guarantee? The Air Force needed 126 fighter jets and had intimated the Defence Acquisition Council (DAC) about it, he said, referring to the process of defence acquisition. Later, the deal went to French firm Dassault and state-owned Hindustan Aeronautics Ltd was part of it. But suddenly a statement was issued and it said there will be no technology transfer, and only 36 jets would be procured, the lawyer told the court. Bhushan submitted that nobody knows about the alleged change in the deal done by the prime minister and even the defence minister was not aware about the the change. According to LiveLaw, Shourie, who spoke after Bhusan, told the Supreme Court that Dassault’s documents reveal that the actual pricing of jets is contrary to prices disclosed in parliament. He also insisted that Dassault Aviation would not have chosen Reliance Defence as its offset partner on its own, since the company had no relevant experience. Advocates M.L. Sharma, Vineet Dhanda and AAP MP Sanjay Singh also advanced their arguments before Bhushan. Sharma, who opened the arguments, told the court that the IGA was “illegal” and sought an investigation into the matter. Dhanda sought a proper reply from the Centre on his plea questioning the Rafale deal. The AAP leader’s counsel Dheeraj Singh questioned why the government reduced the deal of 126 jets to 36. Bhushan also raised the same point as Singh and said 3.5 years have passed since the deal was signed on 36 Rafale jets but no aircraft has been received till now. “If the 126 aircraft deal was still on, at least 18 jets would have been delivered by April 2019,” he submitted. Two days ago, the Centre had handed over details on the decision-making process that went into the contract to the petitioners.